The Bangkok Fashion City Roadshow's grand finale in Hong Kong was organized by Thailand's Department of Industrial Promotion, the Ministry of Industry. 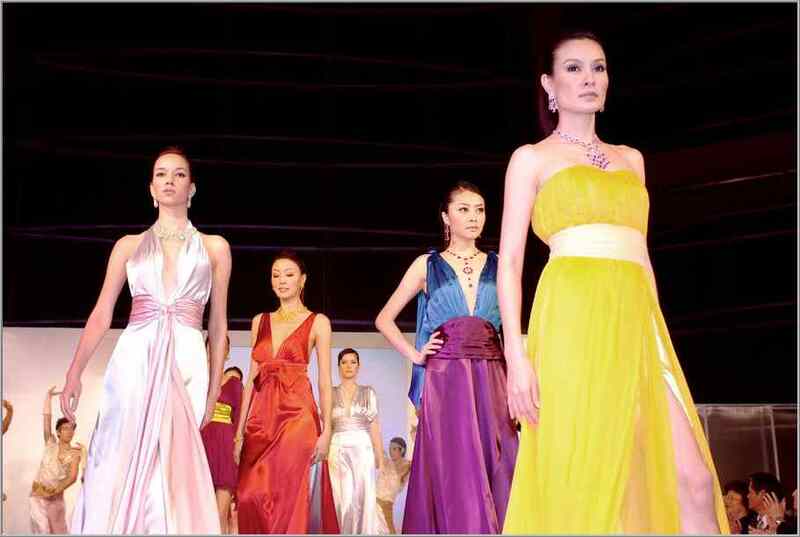 More than ten leading models from Thailand paraded jewellery worth over 100 million baht on the catwalk at the recent Hong Kong International Jewellery Show 2007. The grand finale event was held in support of the 157 Thai jewellery companies who participated at the Hong Kong International Jewellery Show 2007, one the world's top five jewellery fairs. The director of the Bangkok Fashion City Roadshow, Mr. Pramode Vidtayasuk, director general of the Department of Industrial Promotion, the Ministry of Industry, said the Bangkok Fashion City Roadshow's grand finale in Hong Kong helped to promote Thailand's image and boost sales for Thai gem and jewelry traders. The Bangkok Fashion City Roadshow has held ten shows and in-store promotions in seven countries worldwide - Switzerland, China, France, Italy, Australia, the US, and the UAE. The recent Hong Kong show was the Project's last event. Bangkok Fashion City Roadshow is a Bangkok Fashion City Project, under Thailand's Department of Industrial Promotion, the Ministry of Industry. Its main aim is to introduce three Thai fashion industries - the garment industry, the leather and shoe industry and the gem and jewelry industry to the world market, as well as boosting the image of Thai fashion, and has received glowing reviews from international audiences.